Janice the art, sports and jewelry you provided at our casino night event was amazing and you are a fabulous auctioneer! 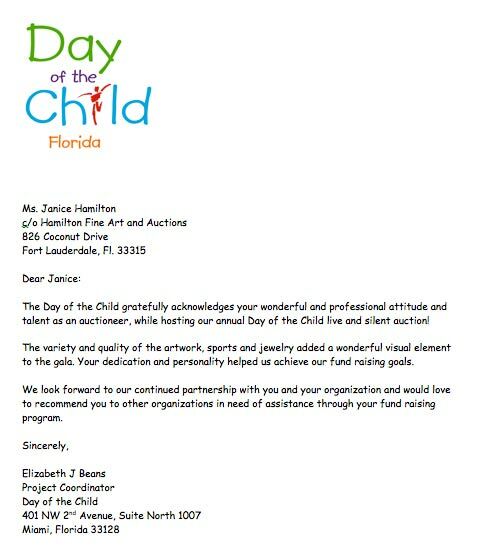 Your skills as an auctioneer and the amazing selection of artwork and sports items increased this year’s event by 80%. Thanks so much. You read the crowd beautifully and you kept the live auction lively, exciting and also profitable. 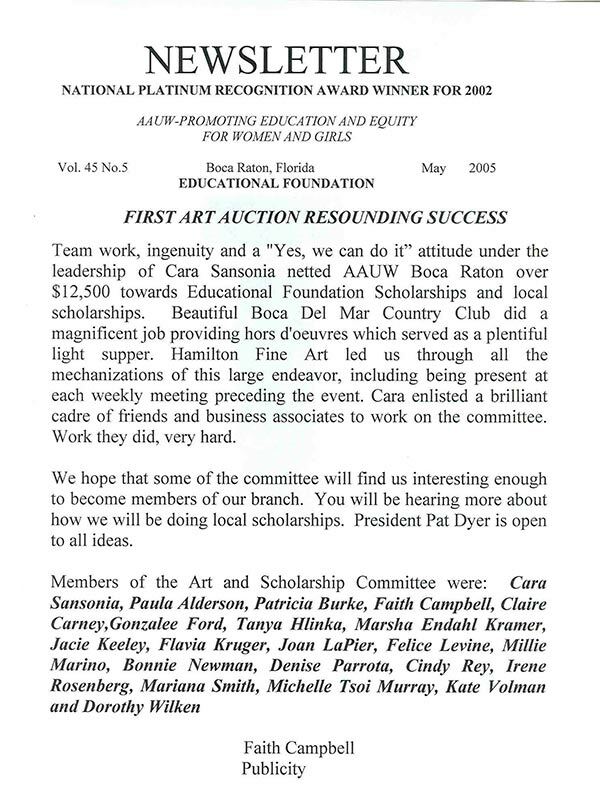 I personally want to thank you for all that you did to make our 2009 Westminster Academy Golf Tournament a success. Thanks for being part of our gala again this year. You always add a touch of class to our event. Your professionalism, fine collection of art and the beautiful way you displayed items far exceeded our expectations. 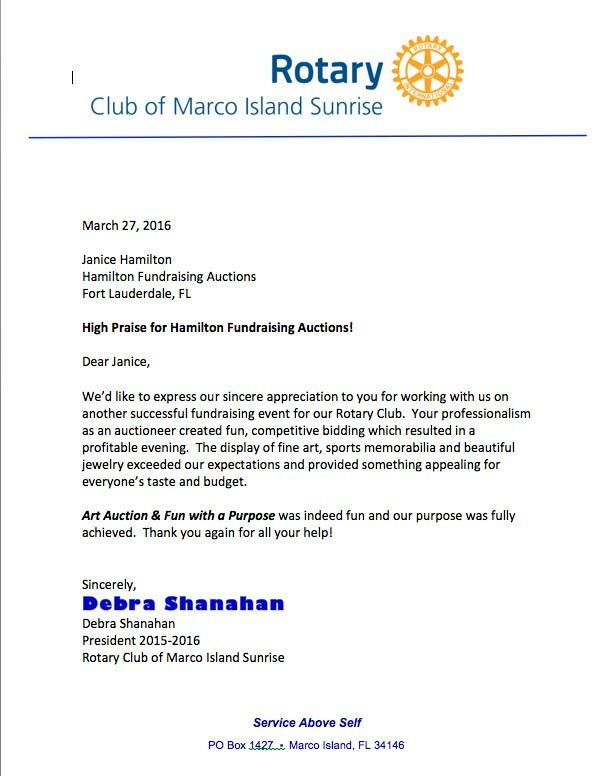 You are an amazing auctioneer!! What a great selection you provided. The silent auction items really added a lot to our casino night.